Legato slides (sliding with your fingers as opposed to using a slide tool) are one of the easiest ways to inject life into your guitar licks. This lesson will show you several ways in which you can use slides to both accent, ornament and fluidly link up notes on the fretboard. First, make sure you know how to execute the basic guitar sliding technique. It's just another way of moving from one note to another on the fretboard. Sliding creates what is know as a "slurred" effect, giving the movement between notes a fluid texture. It's one way of mimicking vocal dynamics in your lead playing. To help us become physically confident with sliding between notes amidst regular picked sequences, we're going to use scale patterns as our roadmap. As demonstrated in the video, start by moving up the sequence, sliding your 3rd finger where indicated. Then, move back down the sequence using exactly the same sliding positions. You can also alternate your 1st/3rd finger slides, as demonstrated in the video, and create your own exercises. The aim is to get comfortable with sliding between regular picked sequences so you can use slides when the feeling takes you. Of course, you can also try creating your own slide exercises. Now let's look at some different ways in which we can physically apply the slide. There are many dynamics that can change the effect the slide has on your music, including variations in speed, delays and repetition. This lesson has shown you many ways you can apply slides in your solos. Now it's down to you to work them into your practice regime, applying them to scales and licks you know. Practice the different slide techniques individually and in combination. Start with simple two or three note phrases, and gradually build them up, experimenting with playing slides in different places. Also, practice slides in combination with other lead techniques such as bends, hammer-ons and pull-offs. With a little time devoted to slides every day, you'll soon hear and FEEL the benefits! 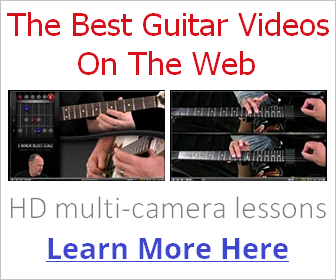 I hope they help you to "say" more on guitar and express yourself in new ways.